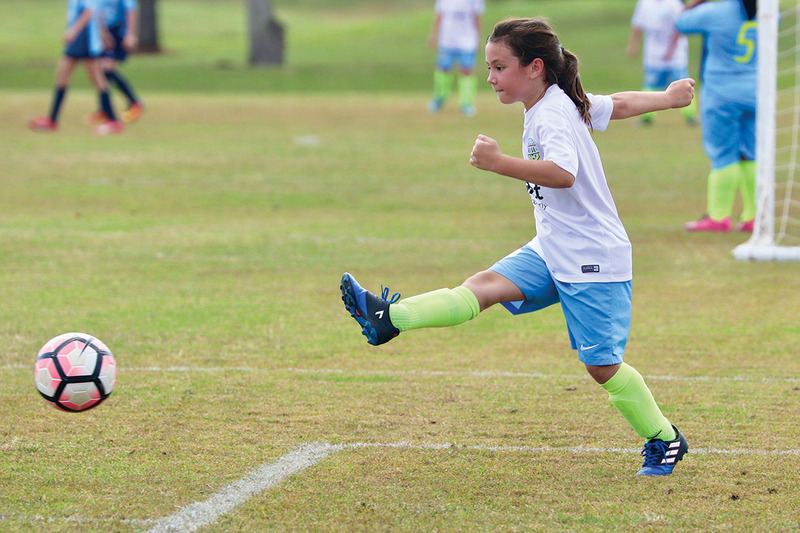 Soccer defender Rebekah Costa (pictured) kicks the ball up field in a game with Rise Soccer Club’s 09 girls’ Premier Central team. Her team won the game against 09 Rise Premier Southwest in the Houston Player Development Friendlies (PDF) league. A fourth grader at Horn Elementary School, Rebekah began playing soccer when she was 5 years old and has played with Rise for the last 2 years. As a member of the Rise Soccer Club competitive program, Rebekah practices twice each week and plays from August through May of each year. When she is not on the field, Rebekah enjoys reading, arts and crafts, UIL modern oratory and hanging out with her friends. She hopes her love of soccer continues into middle school and high school.